To carry out their scientific programs, the teams call upon the processing of large volumes of data, as well as the mastery of complex simulation tools. Irfu uses national and European computing resources, such as the computing grid and large parallel computers, develops a set of programs, analysis tools and 3D visualization and uses the best calculators in the world to simulate the Universe with its variety of scales, from the structure of the proton to the formation of large structures from the primordial Universe. The LHC Computing Grid was introduced when the LHC started up in 2008. In this distributed computing model, the data processing perfectly followed the progression of the LHC machine thanks to an increase in power of the computing grid. The Grid consists of four levels, numbered from 0 to 3. 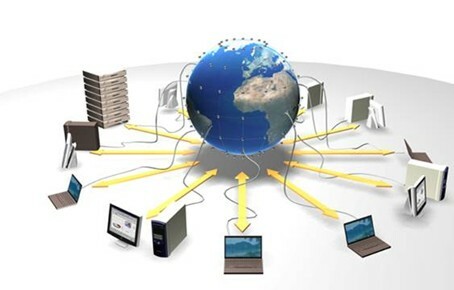 Each level has several computing centres and provides a set of specific services. Level 0 is the CERN Data Centre. 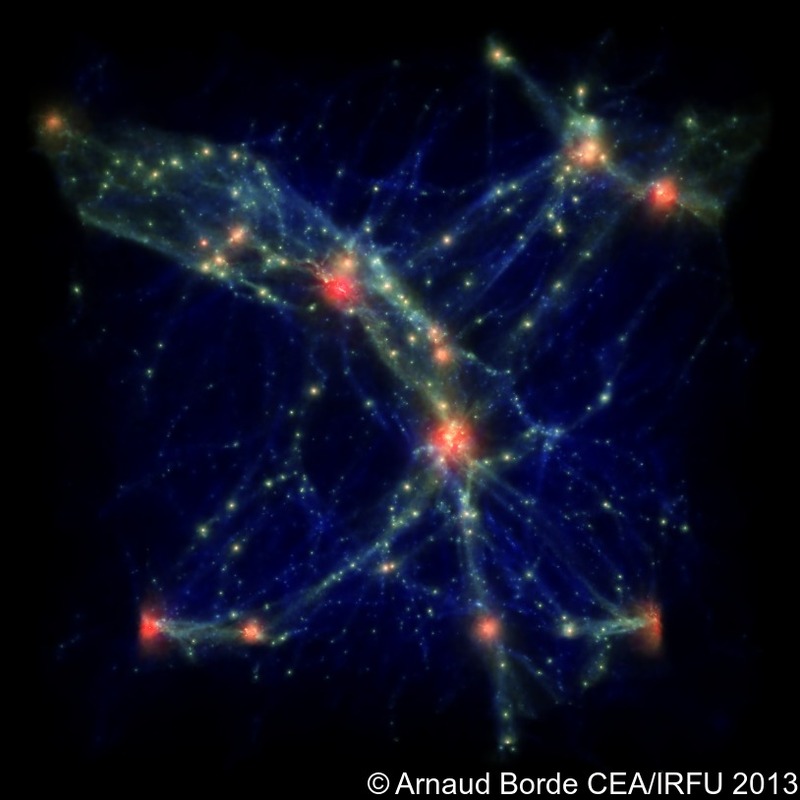 All LHC data passes through this central node. Level 0 sends raw and reconstructed data to Level 1 centres. Level 1 has 13 computer centres, including one in Fance in Lyon. Irfu is involved in the Lyon computing centre for the tier1 and tier2 levels and in the Francilienne Grif grid for tier2 and tier3 levels. The grid also provides IT resources for data processing for the future High Luminosity LHC project at CERN, the new SPIRAL 2 particle accelerator at GANIL, but also for promising astrophysical projects, such as the European EUCLID satellite and CTA. Numerical simulations make it possible to compare theory with data and extract relevant information. The iru has increased its internal computing capacity and also benefits from massively parallel computers of international level, regularly upgraded as part of Genci in France and Prace at European level. For understanding the structure of the Universe from cosmology to stellar systems. All these studies are accompanied by high-performance computing resources, mobilized for simulation, data processing pipelines and visualization. In the domains of the infinitely small, codes are developed in the domains of nucleon structure, and fission process modelling. Taking advantage of the increase in high-performance computing capabilities, a major achievement was made with an ab initio method to describe nuclei from realistic nucleon-nucleon interaction potentials. In the technological fields, Irfu has developed skills in 3D multidynamic modeling of superconducting cables as well as on accurate modeling of beam dynamics.